Really really good stuff. I wish there were more fringe dwelling superheroes like these out there.Almost thirty years on, this one is a lot of fun, in a twisted and meta kind of way. Nearly gave this two stars, because the way Crazy Jane was handled annoyed me, but Orqwith and the Scissormen brought it back up. Pretty sure I read this last year. 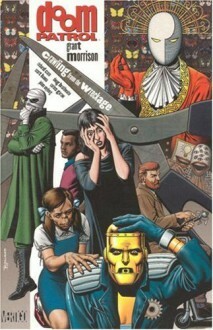 Doom Patrol gets overshadowed in Grant Morrison's body of work by Invisibles, Animal Man, JLA, and X-Men, but it is definitely some of his most inventive and craziest work. Crazy Jane is one of Morrison's best original characters.